An exhibition of Pre-Raphaelite paintings just opened in Turin (Italy) http://www.mostrapreraffaelliti.it/ , which promises to investigate the movement’s “utopia of beauty”. 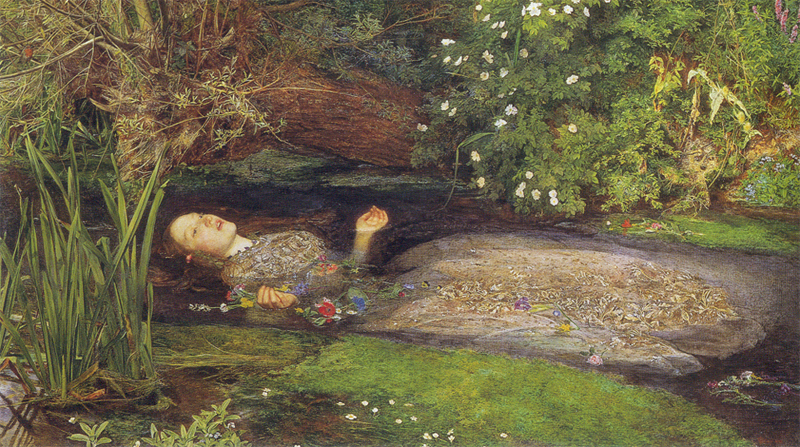 Fashionarchaeology.com is very excited as this has been a favorite topic since 1984, when the Tate Gallery in London staged a major exhibition on the Pre-Raphaelite movement. Seeing it was a powerful and deeply impacting experience. The dress, beauty and politics of the women involved in the PR movement became the topic of my degree dissertation. 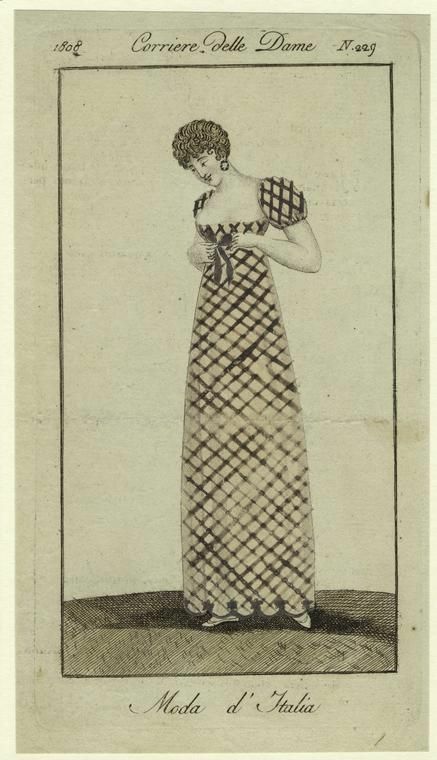 However, I then moved on to other dress and textile obsessions. Until today. In this and the following posts, I wish to muse over a few ‘issues’ that have come buzzing back to me after all these years. 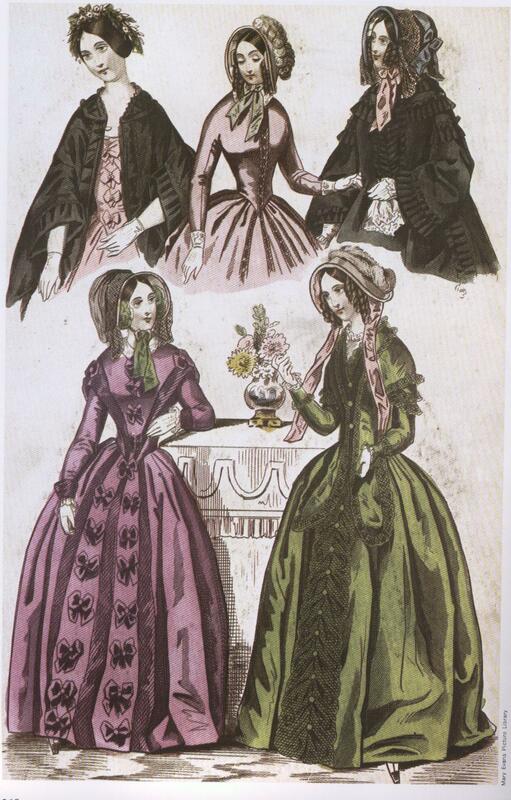 As a dress historian I am naturally often concerned with the concept of beauty. Why and when is a person considered beautiful or not so? All eras have their canons of beauty. In terms of PR beauty standards, what is interesting is that they were not actually the same as those of contemporary Victorian society. In other words what the PR Brotherhood deemed ‘beautiful’ was not aligned with the ‘ideal’ beauty represented in fashion magazines of the time. The work of these (initially, in 1848) young artists, reveals a deep understanding of Italian Renaissance aesthetics, a great concern with women, and a desire to look for beauty in the unusual. They were shying away from the banal, the mass-produced, that anonymous beauty found in fashion magazines, which we can easily relate to today. If we can ascertain a difference between the real and the represented we may be able to understand what PR beauty was all about. Photography comes to our aid as we now try to understand what these women, the models, looked like in real life. 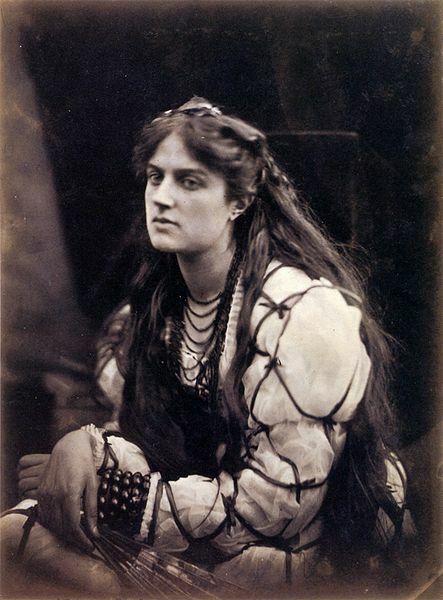 If we compare the above photo of actress Marie Spartali with a portrait made shortly after by Dante Gabriel Rossetti, we begin to see how he (as unchallenged leader of the group) had devised a ‘style’, a way of beautifying his female subjects to fit in with his specific ideals of beauty. By the end of the 1850s he had devised a set of facial connotations that came to represent PR beauty. He curled the upper lip of his female sitters and elongated their neck, while tilting the head slightly to one side. It becomes even more evident in the numerous works executed by him featuring the model Jane Morris. In fact, although Jane could be the instigator of this ‘type’… as we can see she really did have a long neck and full, curly lips. D.G. 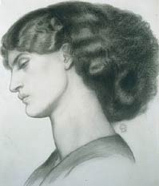 Rossetti, sketch of Jane Morris, p.c. If we explore their professional and personal relationship, we discover that D.G. Rossetti had actually been deeply struck by Jane on first seeing her (he was walking in Oxford with artist William Morris). 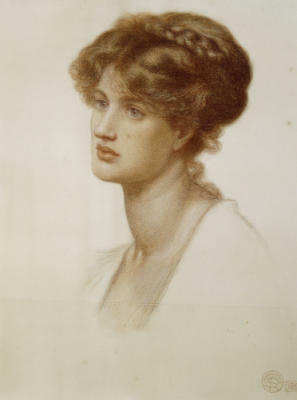 For Rossetti it was love at first sight, she embodied all the aesthetic ideals he’d absorbed from Italian Renaissance artists. But Jane ended up marrying William Morris in 1859. 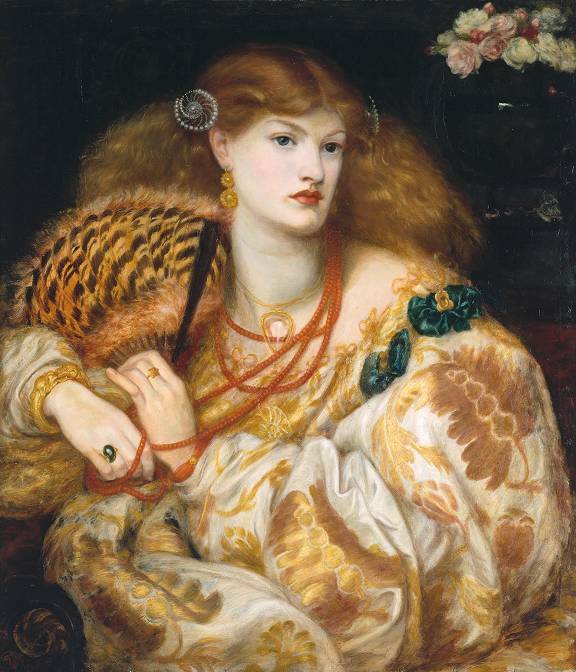 Rossetti became a close friend and she modeled for him very often, revealing what seems to become an aesthetic obsession, if not a full-fledged love affair. 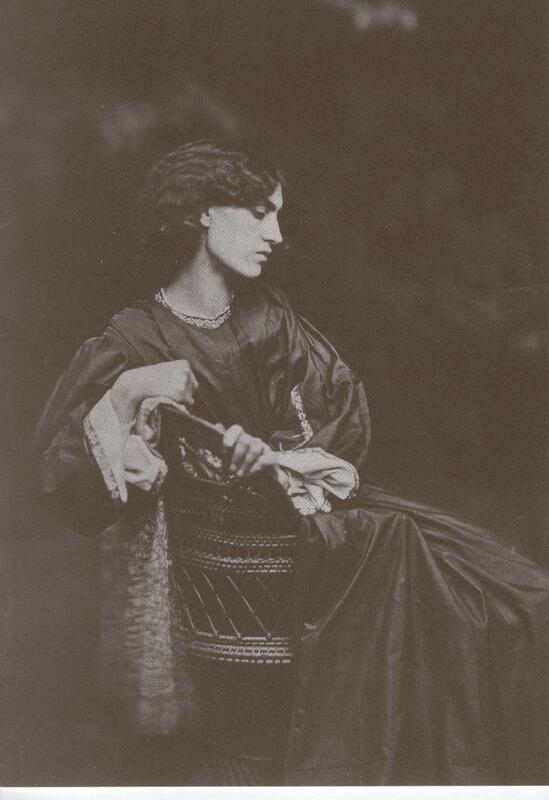 By the 1860s all of Rossetti’s sitters seem to receive the ‘PR beauty treatment’. 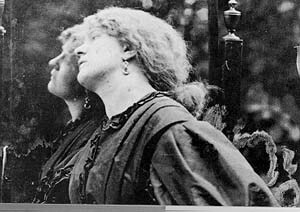 In the end it may just be that the famous Rossetti lips were those of Jane Morris. The one who ‘got away’. His true love.